The High Technology Facilities Group at CBRE is the tech industry's leading team for sourcing commercial real estate that drives innovation. | culture. | creativity. | talent attraction. | collaboration. | productivity. | talent retention. We are leaders in sourcing exceptional tech workspace environments. 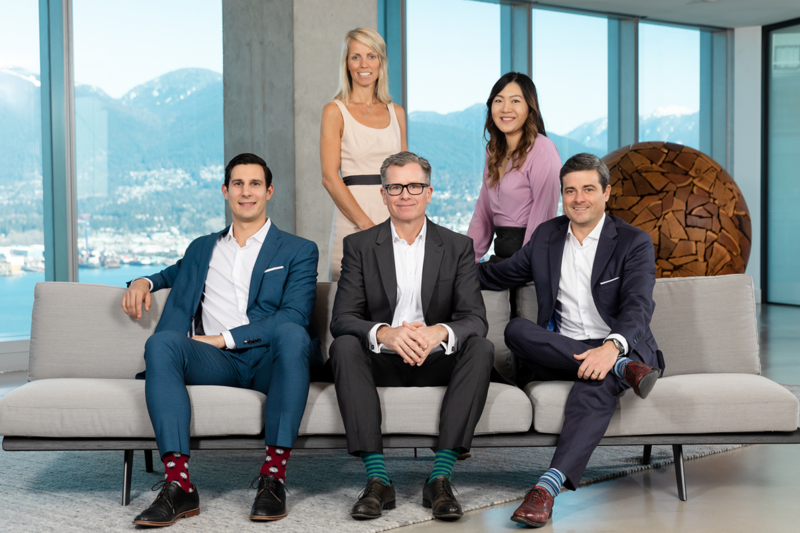 Since 1994, The High Technology Facilities Group (The HTFG) at CBRE has been Vancouver's only tenant representation team that focuses exclusively on commercial real estate solutions for BC’s technology sector. The HTFG goes beyond finding commercial space to support companies that make up the fabric of Vancouver's tech industry – we are building B.C. 's tech ecosystem by helping companies find workspace environments that drive culture and attract top talent. Leverage our industry expertise and CBRE's global network to take your company to the next level. What’s happening with Vancouver's tech community, The HTFG, and our industry partners. We bring our core values of dedication, creativity and trust to our extensive service offerings. The HTFG at CBRE has been a long standing real estate partner of Avigilon. Their creativity has proven to be invaluable through both our early years of rapid growth, and in our recent purchase, and subsequent sale/leaseback, of our head office at 555 Robson Street. When we outgrew our humble beginnings in Railtown, we recognized the importance for unique quality space to attract top talent for Hootsuite. The HTFG listened to our needs and goals, and after a thorough market search, and uncovering off-market opportunities through their unwavering commitment to our vision, their creative and unique process led us to Mount Pleasant, now a tech-centric hub, where our Hootsuite nest has grown into 3 different buildings. Their level of service reaches beyond our local soil: they have expanded our brand globally into markets in the US, Europe and Asia and we appreciate the team enormously. Since 2000, The HTFG has been our real estate provider and part of the ACL journey as we have evolved and grown. They have an in-depth knowledge and understanding of our culture and needs – they get us. They've guided us through 3 relocations and 2 lease renewals, and most recently, managed our Head Office's move to 980 Howe Street. We could not be more thrilled with our space and what it represents for ACL. It embodies our local roots and global reach, and gives us an environment to both attract and retain top talent. We are grateful to The HTFG and would not hesitate to recommend them. Having been on an incredible growth cycle for three years, we had the chance to engage the team at CBRE Limited on three very different assignments. Their process during our early growth stage, lease renewal, and expansion into the U.S. market was integral to the success of these moves. We recommend The HTFG's services to anyone seeking tenant representation in any market.